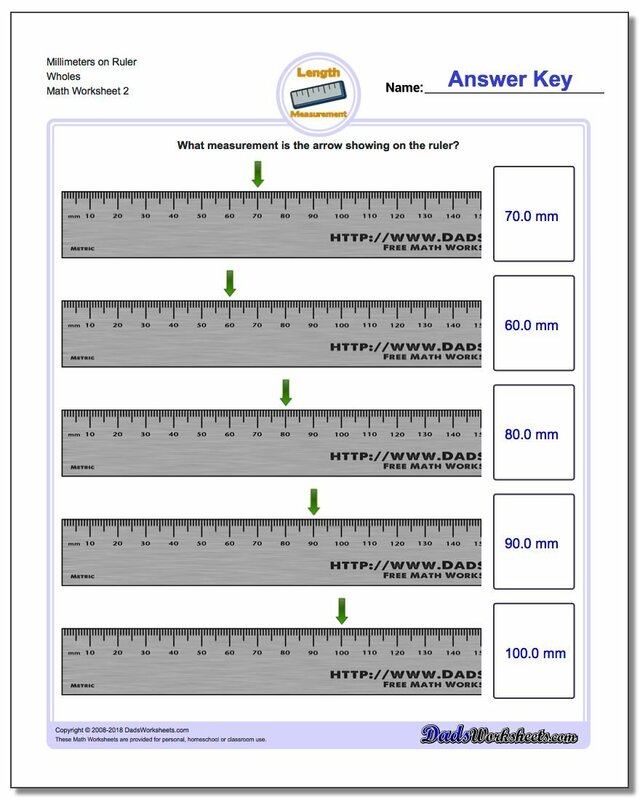 The measuring worksheets on this page require grade school students to look at a ruler and identify the value being shown in millimeters. 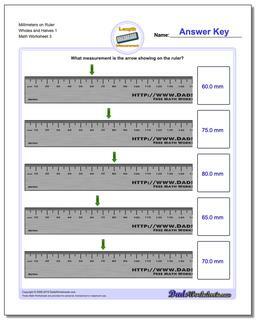 Each worksheet has five metric rulers that corresponding to five measurement problems to be solved. Because millimeter units are smaller than centimeters, these worksheets may be conceptually easier than the centimeter measurement worksheets in the next set as they don't require a concept of decimal fractional portions of units. These worksheets are great measurement practice for students in first grade, second grade or third grade. They provide a structured introduction to measurement concepts that may be a good preparation for real-world ruler exercises where motor skill coordination with the ruler is a bit challenged.